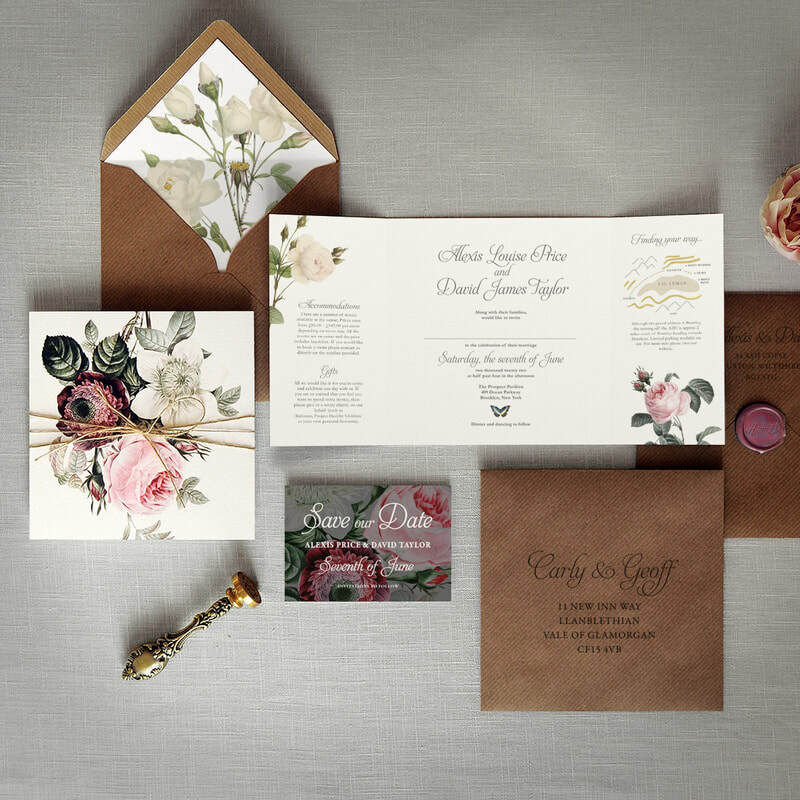 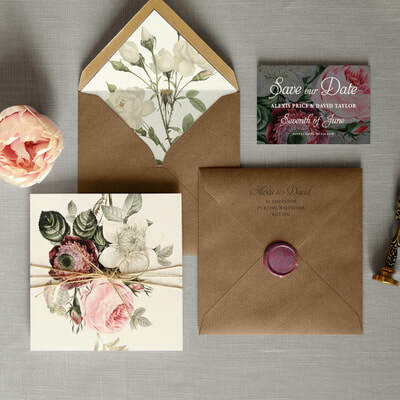 A quintessentially British theme featuring beautiful illustrated roses, rustic twine, gorgeous textures and a custom wax seal. 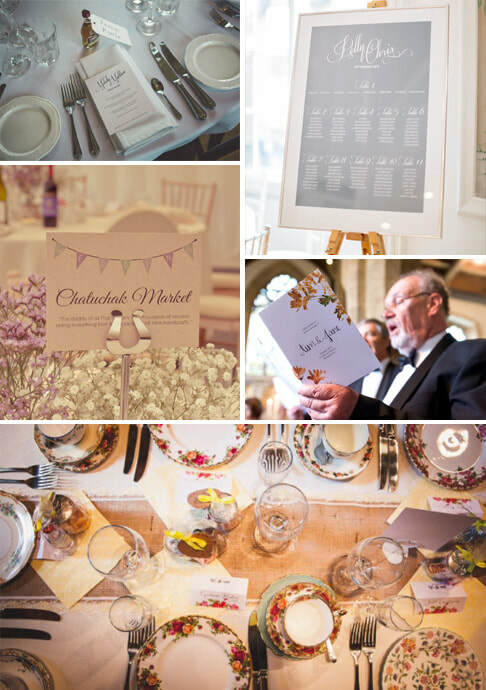 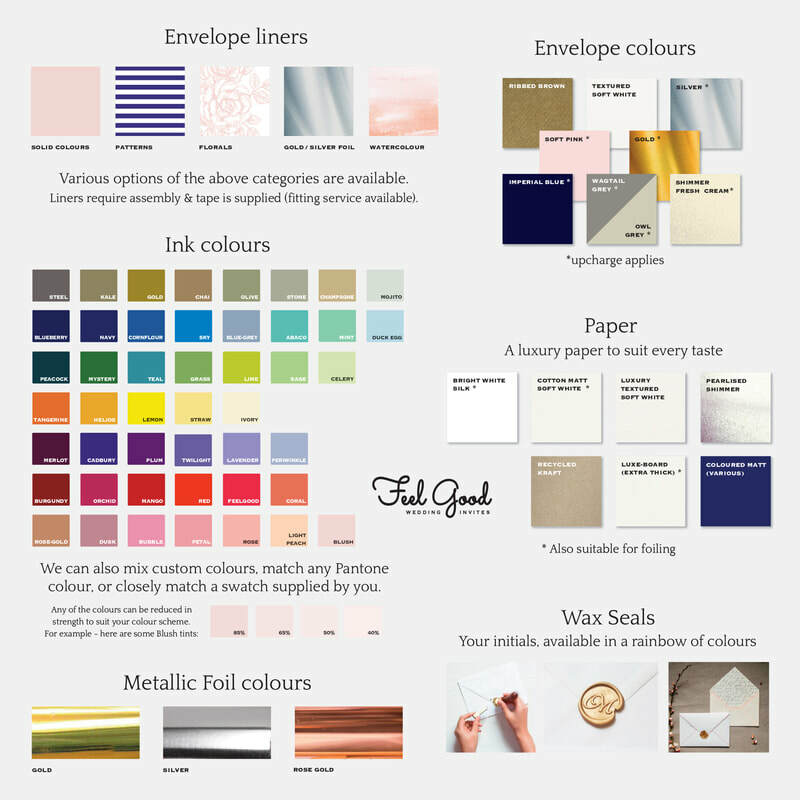 ​Words and flowers can be coloured to suit your scheme. 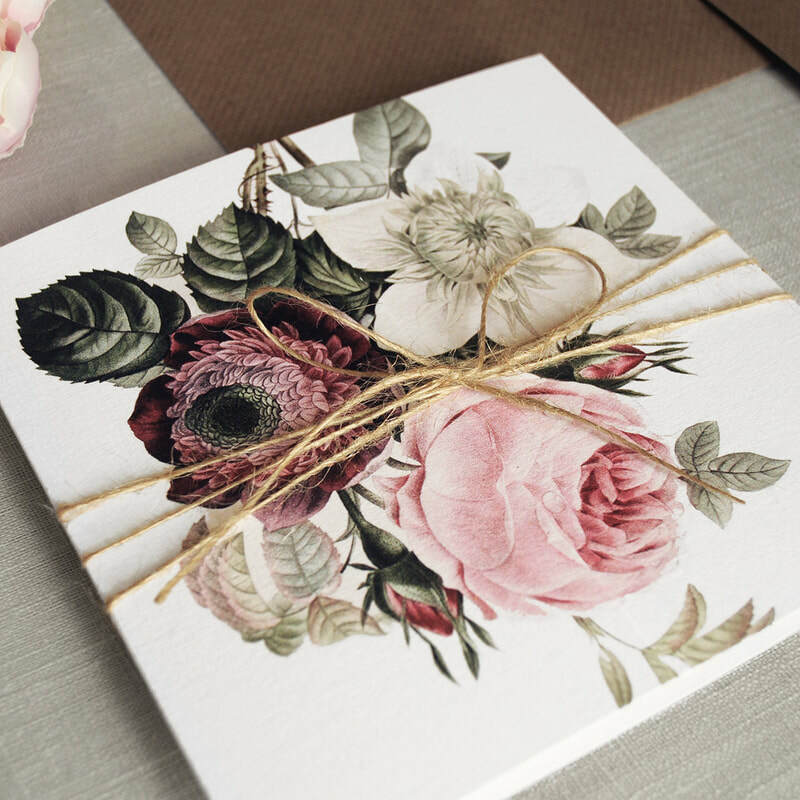 Rustic twine included. 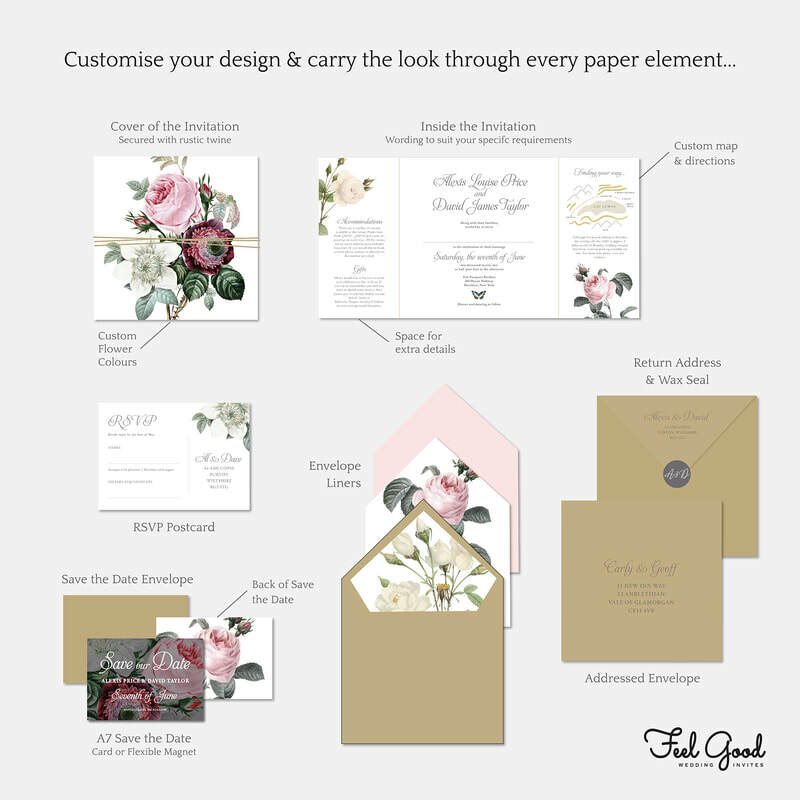 Optional envelope liners and wax seal.